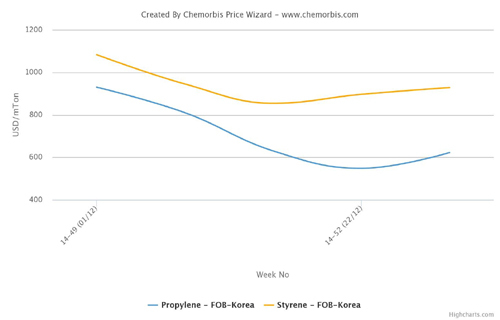 Players in India report that PVC demand has shown some signs of cooling down this week following several weeks of strong activity, according to ChemOrbis. Buyers in the country are reported to have covered their needs in the past few weeks and are now said to be more cautious in their purchasing. 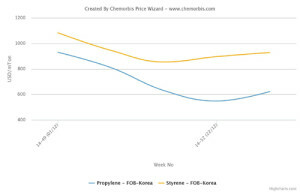 In addition, the renewed competitiveness of acetylene based PVC has prompted some players to comment that conventional PVC producers will need to moderate their offer levels in order to maintain their competitiveness relative to acetylene based cargoes. A source at a Chinese acetylene based PVC producer stated that the volume of exports to India recently has grown large enough to create some supply shortages in China’s Xinjiang province.